The TaylorMade Spider Tour Red putters offer a combination of sightlines, toe hangs and hosels for a wide array of alignments to fit any stroke. The lightweight 6061 aluminum core paired with Heavy 304 Stainless Steel Frame for high MOI to ensure that the face stays square to the path. The Pure Roll Insert provides increased forward roll and distance control while the vibration dampening PU foam provides enhanced sound and feel. The Spider features a unique “square” shape for better alignment and movable Weight Technology to match the desired head weight. 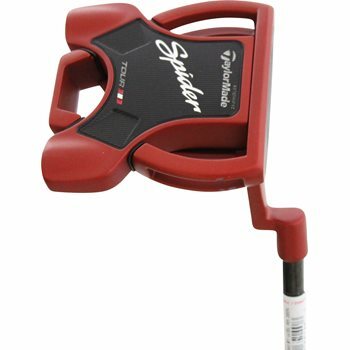 The Spider Tour Red "L" Neck putter has a long sightline, 21° toe hang, "L" neck, and full shaft.